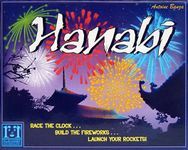 ABACUSSPIELE, Cocktail Games, Asmodee, Brain Games, Broadway Toys LTD, etc. We talk about some DO'S and DON'TSES for board game conventions. And also life in general. Plus Jondi actually made recipes.